Long revered as the birthplace of many of the nation’s best-known authors, Michigan has also served as inspiration to countless others. 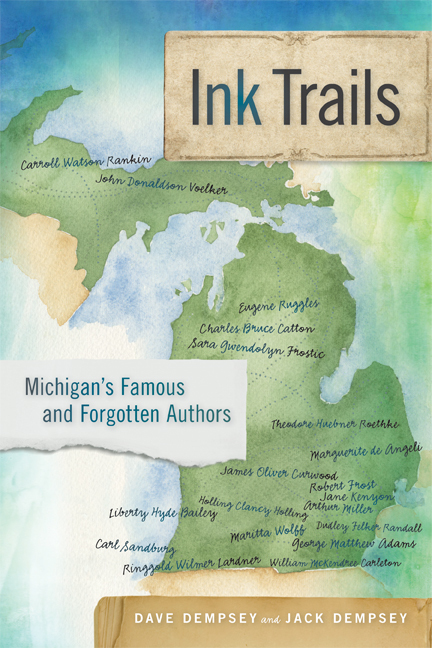 In this entertaining and well-researched book—the first of its kind—the secrets, legends, and myths surrounding some of Michigan’s literary luminaries are explored. Which Michigan poet inspired a state law requiring teachers to assign at least one of his compositions to all students? Which young author emerged from the University of Michigan with a bestselling novel derided by some critics as “vulgar”? And from what Michigan city did Arthur Miller, Robert Frost, and Jane Kenyon draw vital inspiration? The answers to these questions and more are revealed in this rich literary history that highlights the diversity of those whose impact on letters has been indelible and distinctly Michiganian. Jack Dempsey is a lawyer, history advocate, and author. —Jack Lessenberry, Senior Political Analyst, Michigan Radio. —Bill Castanier, editor of www.mittenlit.com and literary writer, Lansing City Pulse.